For the movie, see Epic Movie, Epic (2013 film), and Epic (1984 film). Epic film is a style of filmmaking with large scale, sweeping scope, and spectacle. The usage of the term has shifted over time, sometimes designating a film genre and at other times simply synonymous with big budget filmmaking. Like epics in the classical literary sense it is often focused on a heroic character. An epic's ambitious nature helps to set it apart from other types of film such as the period piece or adventure film. Epic historical films would usually take a historical or a mythic event and add an extravagant setting and lavish costumes, accompanied by an expansive musical score with an ensemble cast, which would make them among the most expensive of films to produce. The most common subjects of epic films are royalty, and important figures from various periods in world history. In its classification of films by genre, the American Film Institute limits the genre to historical films such as Ben-Hur. However, film scholars such as Constantine Santas are willing to extend the label to science-fiction films such as 2001: A Space Odyssey and Star Wars. Nickolas Haydock suggests that "Surely one of the hardest film genres to define is that of the "epic" film, encompassing such examples as Ben-Hur, Gone with the Wind....and more recently, 300 and the Star Wars films...none of these comes from literary epics per se, and there is little that links them with one another. Among those who espouse film genre studies, epic is one of the most despised and ignored genres" Finally, although the American Movie Channel formally defines epic films as historical films, they nonetheless state the epic film may be combined with the genre of science-fiction and cite Star Wars as an example. The comedy film Monty Python and the Holy Grail had the joking tagline "Makes Ben Hur look like an epic." The epic is among the oldest of film genres, with one early notable example being Giovanni Pastrone's Cabiria, a three-hour silent film about the Punic Wars that laid the groundwork for the subsequent silent epics of D. W. Griffith. The genre reached a peak of popularity in the early 1960s, when Hollywood frequently collaborated with foreign film studios (such as Rome's Cinecittà) to use relatively exotic locations in Spain, Morocco, and elsewhere for the production of epic films. This boom period of international co-productions is generally considered to have ended with Cleopatra (1963), The Fall of the Roman Empire (1964), and Doctor Zhivago (1965). Nevertheless, films in this genre continued to appear, with one notable example being War and Peace, which was released in the former Soviet Union in 1968, directed by Sergei Bondarchuk, and said to be the most expensive film ever made. War epics are generally focused on specific battles in a war, P.O.W (Prisoner of War) camps or the personal consequences of living in an invaded/occupied country. Many war epics take place during World War II or the Vietnam War, with a notable exception being Master & Commander: The Far Side of the World, set during the Napoleonic wars. Examples of the more contemporary based war epics include The Burmese Harp (1956), The Bridge on the River Kwai (1957), The Human Condition (1959-1961), The Deer Hunter (1978), Apocalypse Now (1979), Kagemusha (1980), Das Boot (1981), Come and See (1985), Ran (1985), Saving Private Ryan (1998), and The Thin Red Line (1998). Historical epics are epic films that take place in the historical past, often focusing on people who alter the course of history. A number of historical epics, especially those made in the 1950s and 1960s, are set in ancient times, particularly in Rome, Greece, or Egypt. Historical epics typically are more grand-scale than other types of epics, featuring elaborate sets and large numbers of extras. Examples of historical epics include The Birth of a Nation (1915), Intolerance (1916), Gone with the Wind (1939), Around the World in 80 Days (1956), The Ten Commandments (1956), The Bridge on the River Kwai (1957), Ben-Hur (1959), Spartacus (1960), El Cid (1961), Lawrence of Arabia (1962), Cleopatra (1963), Doctor Zhivago (1965), War and Peace (1966-1967), Barry Lyndon (1975), Gandhi (1982), The Last Emperor (1987), Dances with Wolves (1990), Farewell My Concubine (1993), Schindler's List, (1993), Braveheart (1995), Titanic (1997), Saving Private Ryan (1998), Gladiator (2000), The Last Samurai (2003), Troy (2004), Alexander (2004), Kingdom of Heaven (2005), 300 (2007). Grand-scale films involving Jesus, Moses or other religious figures have been called religious or Biblical epics. 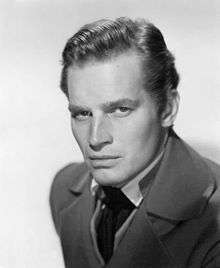 This genre was popular in the 1950s and was often associated with towering budgets and such stars as Charlton Heston. Notable examples include Quo Vadis (1951), The Ten Commandments (1956), and Ben-Hur (1959). The 1960s brought the first attempt by a major studio to produce a religious epic in which the Christ Event was its singular focus. MGM released King of Kings in 1961, inspired by a Cecil B. DeMille film of the same title from 1927. Four years later, The Greatest Story Ever Told, directed by George Stevens, was completed for $25 million. A recent example is the 2004 Mel Gibson film The Passion of the Christ. While the term "Biblical epics" is used to describe films based on Judeo-Christian stories, other films may be based in other religious traditions, such as The Mahabharata, which is based on Hindu mythology, and The Message, which is based on Islamic history. Romantic epics are romance films done on a large scale, usually in a historical setting. The romance itself is often portrayed in a counterpoint to war, conflict or political events in the background of the story. In these films, the romance and the main character's relationships are the centerpiece of the story, rather than a subplot. Some epic films portray a tempestuous romance against the background of war. The romance itself is often portrayed in a counterpoint to war, conflict or political events in the background of the story, while the romance is in the foreground. Gone with the Wind has been described as the archetypal romantic epic. Examples include Gone with the Wind (1939), Giant (1956), Doctor Zhivago (1965), Ryan's Daughter (1970), Out of Africa (1985), Forrest Gump (1994), The English Patient (1996), Titanic (1997), Brokeback Mountain (2005), The Painted Veil (2006), Tristan & Isolde (2006), Atonement (2007), Australia (2008), Les Misérables (2012) and The Great Gatsby (2013). Epic crime films are usually gangster stories done on a wide scale, and usually show the rise and fall of a criminal empire. The most famous example is Godfather trilogy (1972-1990), with all three films of large scope and scale. The epic western is a subgenre of the western that emphasizes the story of the American Old West on a grand scale. Many epic westerns are commonly set during a turbulent time, especially a war, as in Sergio Leone's The Good, the Bad and the Ugly (1966), set during the American Civil War, or Sam Peckinpah's The Wild Bunch (1969), set during the Mexican Revolution. One of the grandest films in this genre is Leone's Once Upon a Time in the West (1968), which shows many operatic conflicts centered on control of a town while utilizing wide scale shots on Monument Valley locations against a broad running time. Other notable examples include The Iron Horse (1924), Duel in the Sun (1946), The Searchers (1956), Giant (1956), The Big Country (1958), Cimarron (1960), How the West Was Won (1962), Duck, You Sucker! (1971), Heaven's Gate (1980), Dances with Wolves (1990), The Assassination of Jesse James by the Coward Robert Ford (2007), Django Unchained (2012), and The Revenant (2015). The science fiction epic received mainstream attention in 1968 with Stanley Kubrick's 2001: A Space Odyssey, as well as with the earlier 1968 film Planet of the Apes. Nine years later, George Lucas' Star Wars films debuted, rocketing the science fiction/fantasy epic to unprecedented blockbuster successes. Opening in 2009, James Cameron's Avatar again showed the pulling power of the science fiction epic, going on to gross over $700 million domestically and over $2.7 billion worldwide, which makes it the most successful box office movie of all time, not taking inflation into account. In recent times, many fantasy epics have been produced with varying success, including the Pirates of the Caribbean series based on the theme park ride of the same name, Peter Jackson's The Hobbit film trilogy and The Lord of the Rings film trilogy based on the book series of the same name by J. R. R. Tolkien, the Harry Potter movies film series based on the book series of the same name by J.K. Rowling and the Hunger Games film series based on the book trilogy by Suzanne Collins. There have been many animation epic films made on different subjects. Hayao Miyazaki's Nausicaä of the Valley of the Wind and Princess Mononoke are two notable animation war-fantasy epics. Both the films portray the struggle between human and nature; and the protagonists trying to establish a peaceful co-living. Katsuhiro Ôtomo's Akira is another example of animation epic which depicts a dystopian society in cyberpunk fashion. The enduring popularity of the epic is often accredited to their ability to appeal to a wide audience. Many of the highest-grossing films of all-time have been epics. The 1997 film Titanic, which is cited as helping to revive the genre, grossed $658 million domestically and over $2.1 billion worldwide, making it the second highest-grossing film of all-time, behind 2009's Avatar another epic which grossed $2.7 billion worldwide. If inflation is taken into account, then the historical epic Gone with the Wind becomes the highest-grossing film ever in the United States. Adjusted for inflation it earned the equivalent of $1.6 billion in the United States alone. Adjusted for ticket price inflation, the science fiction/fantasy epic Star Wars stands at number 2, with an inflated gross of $1.4 billion in the United States. So far the most Academy Awards ever won by a single film stands at 11. This feat has only been achieved by 3 movies (Ben-Hur, Titanic and The Lord of the Rings: The Return of the King) all of which are considered epics. ↑ Tim Dirks (12 July 2008). "Epic Films". Filmsite. Retrieved 12 July 2008. ↑ Santas, Constantine (2002). Responding to film: a text guide for students of cinema art. Rowman & Littlefield. p. 32. ISBN 0-8304-1580-7. ISBN 9780830415809. ↑ Haydock, Nickolas (2009). Hollywood in the Holy Land: essays on film depictions of the Crusades and Christian-Muslim clashes. McFarland. p. 153. ISBN 0-7864-4156-9. ISBN 9780786441563. ↑ "AMC Film Site Epics/Historical Films". Filmsite.org. Retrieved 2014-07-16. ↑ Roger Ebert (2001-09-02). "Lawrence of Arabia (1962)". Great Movies. suntimes.com. Archived from the original on 2005-09-04. Retrieved 2007-06-18. ↑ allmovie (2008-07-12). "Explore by genre:Epic". allmovieg. Retrieved 2014-03-05. ↑ Tim Dirks. "ANIMATED FILMS". Filmsite. Retrieved 2015-10-16. 1 2 3 Box Office Mojo. "All Time Box Office Adjusted for Ticket Price Inflation". Box Office Mojo. Retrieved 2007-07-12. ↑ "All Time Box Office Adjusted for Ticket Price Inflation". Boxofficemojo.com. Retrieved 2014-07-16.